It’s about coming up to another one of those birthday events soon, the kind where you get together with a few close friends, have a meal, a few beers, perhaps watch a movie, before whiling away the rest of evening playing a board game. And as it’s in the UK, you only need a few guesses before you’ll stumble upon which game that will be. Now I don’t claim to be any kind of expert in the field of board games, but that serious lack of diversity in most UK households makes most games evenings feel like you’re stuck in the same old rut again. Take a look at Wikipedia’s list of popular games, and you might see what I mean. Ignoring those that aren’t easily or commonly played in groups, there’s Cluedo, Monopoly, Risk, and Trivial Pursuit. And let’s face it, if a household has anything, it’s probably one of those. Of course, there’s plenty of fun to be had there, but to be honest there just isn’t enough variety in what’s usually available. A lot of this comes down to British culture. There are in fact plenty of games available, and most families with young children will probably have a great many more board games specifically designed for the youngsters than those suitable for the whole family. One can only presume that board games are seen as belonging to the realm of childhood, but there doesn’t need to be a specifically adult genre of games to counter this. What should be avoided, however, is the mass-produced clone versions of the very same games, which add mere seconds of novelty value to the overworked formulae. Oxford Monopoly? Scotland Monopoly? Star Wars™ Monopoly? Another key problem I have with the majority of the games mentioned above is the strong, pervasive element of luck. Since most adults are perfectly capable of deducing the murderer in a pretty efficient way in a game of Cluedo, the roll of the die and the luck of the draw come into play far too heavily for much enjoyment to be had. 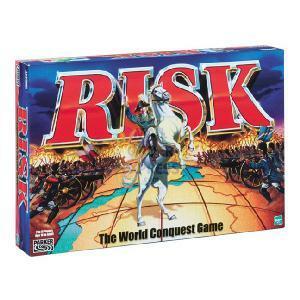 In a game of Risk, a strong strategy should triumph in an average night of dice rolling—but when everyone has a strong strategy? The Escapist has summarised a number of key areas in which German-style games make an improvement over the typical offerings available in the UK, and just why they do so well. Some of these might be seen as undesireable, such as the inability to eliminate players, or the rather less open-ended scope of the games, but these factors together with the easy to pick-up rules, high level of interaction and more measured amounts of luck tend to make the games more appealing to that more grown up audience. 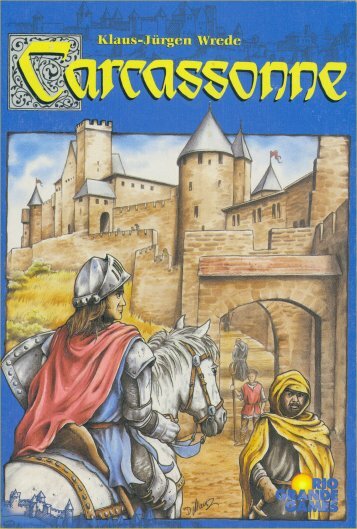 Take a game like Carcassonne. You can learn to play it in minutes, involves plenty of player interaction, a splash of luck with drawing tiles, and yet has enough scope for developing tactics that the game has decent longevity about it. Players can’t ‘die’ part way through, nor is the victor generally known long before the game’s end, and you can generally work out how much time to set aside for a game. Plus of course, there are a number of expansions and reinterpretations which can add even more variety to the basic game. But who knows? Perhaps there’ll be something new on the table this year. Or maybe there’ll be enough alcohol to numb the pain of continually rolling snake eyes in my defence of Siam! And here I've found someone who might actually think less of Monopoly than I do!